Through its dedicated officers and proficient management team, Basile Construction, is a 4th generation general contractor collectively bringing over 100 years of knowledge and skills to the construction industry. 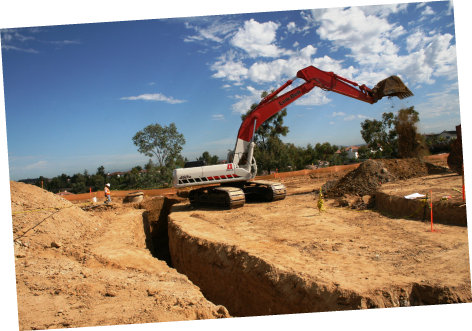 As a Southern California based general engineering construction company, Basile has been serving San Diego and surrounding areas since 1989; specializing in removal and replacement projects; along with new installation of underground piping, sewer, storm drains and water systems. Contributing to the success of Basile Construction is the versatility the company provides on any one given project. We understand the challenges and demands many general contractors face. Our value-engineering approach to every project enables our clients to achieve budget and scheduling goals, while providing the end user with a quality finished product. 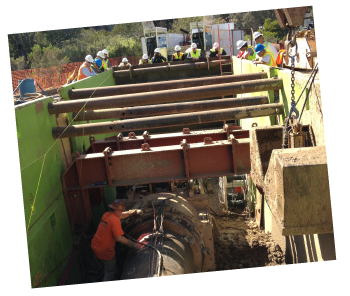 With Basile’s value-engineering and turn-key operations, the commitment to our clients begin from Conception to Completion; where the benefits our clients receive are more than just beneath the surface. With over 25 years in the industry, Basile Construction, has steadily grown to the capacity of completing individual projects exceeding $6 million. Our proven track record is a result of an experienced knowledgeable staff and skilled field personnel. Adding to this equation, is a complete fleet of heavy equipment and trucks, owned and maintained by the company. This gives Basile Construction, the capability of easily handling multiple projects of various sizes. Basile prides itself with the utilization of A+ rated insurance carriers along with a bonding capacity of $15 million per project. Our proficient administrative staff handles California OSHA requirements, safety programs and all compliance forms for Federal, State and Local government projects. Basile’s field personnel are kept up to date with CPR, First Aid and Competent Person Training, as well as any specialty training that is applicable. Basile Construction takes great pride in our ability to comply with special project requirements and the industry needs of general contractors.